Installing a new swimming pool in your backyard will not only improve the overall appeal of your property but also create a new outdoor living space that can be used for relaxation, family bonding, and special occasions. However, it is difficult to choose the right pool design that will satisfy your needs and lifestyle. You must also consider important factors such as installation cost, durability and the maintenance of your chosen pool type. Meanwhile, careful planning is also required if you are aiming for a complete pool renovation. Renovating an outdated pool is a challenging task since you have to consider the specific features and amenities to add. 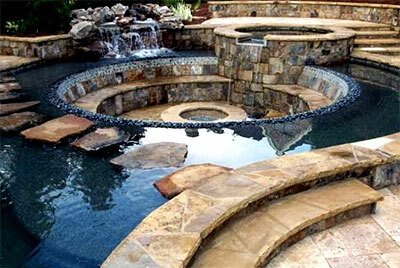 In these cases, you will need the help of pool specialists to ensure the success of the project. You must choose the right pool type if you want to fully enjoy your new water amenity. One of the pool types that we highly recommend here at Nolascapes Pool & Outdoors LLC is the fiberglass pool. This pool type is popular among homeowners and pool installers because of its advantages and outstanding benefits. Fiberglass pools are now available in various sizes and designs so it is not difficult to find a brand or model that will match with your requirements. Installation is much faster compared to other pool types but special equipment is required during installation. If you are after a low-maintenance pool, this is the perfect option for you. 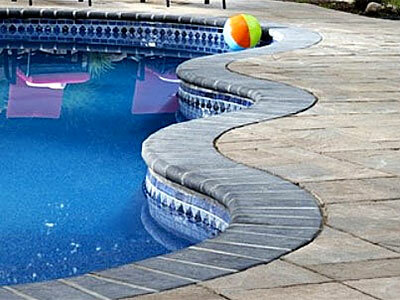 Design flexibility is one of the best features of concrete pools. The design can be patterned from popular shapes or personalized based on your needs and preferences. You can also choose from different interior finishes such as pebble, plaster, mosaic or tile. Most in-ground concrete swimming pools are built using the gunite or shotcrete method but there are also some pool installers that prefer the casting method. Just talk with your contractor which of these methods will work best for your pool. Only hire seasoned contractors since they know how to build durable and long-lasting concrete pools. Moreover, a well-designed pool will not require expensive upkeep. Affordability, customization, and ease of installation are just some of the outstanding qualities of vinyl pools. Vinyl liners are available in different shapes and sizes so they can be installed in a small or large backyard. They can be used for in-ground and above ground pools. If you like to work on DIY projects, you can use vinyl liners to build your own backyard pool. But some property owners shun the use of liners because of durability issues. The material is prone to tear, sun damage, and color fading. Premium vinyl liners can last up to 12 years, so you have to consider this factor when choosing this particular pool type. You might have heard about the benefits of saltwater pools and you are now inclined to build this kind of pool in your backyard. We agree that this is a better alternative to traditional pool where cost of maintenance is always an issue. A saltwater pool is easy to maintain since the water treatment is handled by a salt chlorine generator. It is better for your health since salt is softer on your skin and will not cause skin irritation or allergies. The downside of a salt water pool is its high initial cost and expensive parts replacement. If you are on a tight budget, just choose a traditional pool setup that relies on chlorine to sanitize pool water. Chlorine pools are easy to build since you don't have to buy additional equipment for water sanitation. However, a maintenance plan must be properly observed to ensure safe and clean pool water. You need to monitor the water’s ph level and the amount of chlorine during the application. Clean water pools are becoming popular options for homeowners who want to have chemical-free swimming pools. Traditional pools rely on chlorine, which can cause health problems. Clean water pools use state-of-the-art filtration system that eliminates bacteria and other harmful chemicals in the water. A clean water pool is cheaper to operate compared to other pool treatment methods. It will not damage pool equipment, liners, covers, and other decorative features in the pool. Your pool's functionality is dramatically enhanced if it has a concrete deck where one can stay and relax after taking a plunge in the pool. The deck can be made from concrete slab or pavers. Concrete paving is a popular option because of its wide range of designs and patterns. 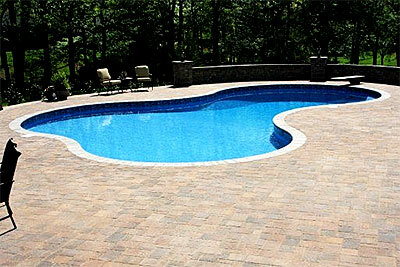 Pavers are proven durable, making them the best materials for pool decks. 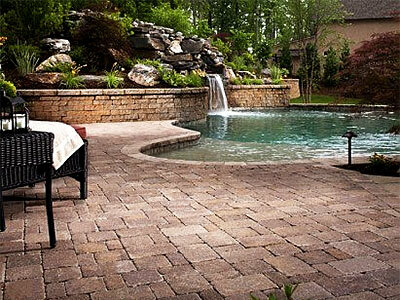 There are also some paver types that are considered slip-resistant and eco-friendly. Meanwhile, a concrete slab is a cheaper option but you have to hire installers with expert knowledge about concrete works. In the hands of professionals, a dull concrete slab is easily transformed into elegant surfaces that mimic the look and appeal of natural stones, wood, and other materials. Ask your contractors if they can work on stamped or stained concrete deck. A wood deck is more suited for above ground pools but there are also some instances where it is used for in-ground type of pools. You can have a long-lasting wood deck by using the best decking materials available. Always use a pressure treated wood or hardwood varieties such as redwood and cedar. Since the deck is subjected to moisture, you should use rot- and decay-resistant wood species. Another popular option for wood deck is composite. A lot of contractors are now recommending this material because of ease of installation, available designs, and longer lifespan. You can have the best-looking pool deck in your neighborhood by using natural stones. These materials are more expensive to install compared to wood and concrete. However, you'll enjoy a host of benefits that the other decking materials can't provide. 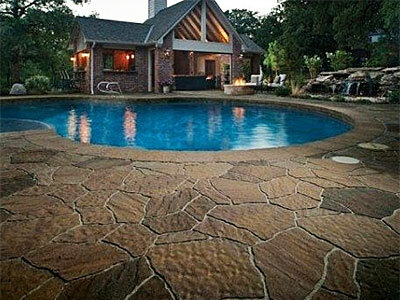 The inherent beauty of stones is the key factor why it is easy to create an extremely elegant pool deck. Moreover, a stone deck is slip-resistant, hard-wearing, and low-maintenance. You may use flagstones or paving stones, depending on your desired look for the deck area. Paving stones come in different sizes and shapes so it's easy to come up with designs that will complement with the existing architecture of your home. Flagstones are also great for your deck because of the unique design that you can achieve. A poolside gazebo will give you an unobtrusive view of the pool area and the surrounding landscaping. A newly installed gazebo will immediately create a covered pool area that you can use after dipping in the pool. The best thing about this particular pool structure is its design flexibility. You can build a traditional gazebo or use a themed-design one such as the Bali hut inspired gazebo. If you are excited to have this shade structure, go for gazebo kits which are available in different designs and sizes. A simple, low-cost shade structure that you can install in the pool area is a pergola. You can opt for pergola kits for faster installation or hire professionals who are well-experienced in custom pergola installation. The best material to use for your pergola is teak, redwood, cypress and other pressure-treated wood such as cedar and pine. A customized pergola is a perfect fit for your water feature since it enhances the functionality and appeal of the pool area. The pool area is always a perfect spot for your outdoor kitchen. Would it be great to have your favorite BBQ's right after taking a plunge in the swimming pool? How about installing a fully-furnished outdoor kitchen? You can prepare your food right smack in the pool area by installing ovens, rotisseries, grills, and other kitchen appliances such as chiller, refrigerator, and food processor. Complete your kitchen setup by adding dining tables and chairs, lighting, and entertainment systems. You can have a better outdoor living experience by adding a shade structure or selecting a more weather-proof design such as kitchen with roofing. Swimming pools will look more enticing if there are well-maintained gardens with colorful and fragrant flowers. You can hire a professional landscaper to help you create perfectly designed pool gardens. It is important to choose the right plant species to get your desired theme for the pool area. Maintenance is also a big factor when selecting the type and number of gardens around the pool. Planting trees around or near the pool area is always a good option since they can boost the aesthetics of your water feature. But careful selection is a must since a lot of landscaping trees have large root system that can damage pool walls and plumbing. Choose trees that reflect the theme of your backyard such as Japanese, Tropical, and Mediterranean. Trees that can be grown in large containers are also great alternatives. The best trees for your pool are citrus, banana, evergreens, Holly, Magnolia, Oleander, Olive, and palm trees. There are a lot of plants that can be grown near or around the pool area, but you still have to choose those that will blend well with your water amenity and landscaping. Other important factors that you have to consider include ease of maintenance, safety, variety, color, texture, and size. Succulents, ornamental grasses, and vines are great inclusions to your pool landscaping. Do you want your swimming pool to be the next best spot in your home but you can't decide on the right features and amenities to add? We have a simple solution to your concern. Install a spa or Jacuzzi. This feature will make your pool a perfect place not only for leisure and fun activities but also for complete relaxation. The numerous health benefits of a Jacuzzi should convince you to add one in your pool. It minimizes joint and muscle pain, lowers blood sugar level, lowers blood pressure, relieves stress, promotes weight loss, and provides other therapeutic effects. We included this pool water feature in our 30 backyard pool ideas because of its outstanding health benefits. Waterfall is another excellent addition to your pool. This water feature will create drama and unique ambiance in the pool area. The sight and sound of falling water will also help ease your tension and even let you feel its therapeutic effects. But don't just go for a typical waterfall design. Ask your pool contractor to install a custom-designed waterfall to achieve a nature-like water feature in your backyard. This kind of environment is easily achieved by using boulders, rocks and plantings on a tiered waterfall. If swimming is among your favorite sports, installing a lap pool in your backyard is a good decision. You will also need this kind of pool if you are a health conscious individual. Swimming is a great form of exercise and you can level up your regimen by doing it in a lap pool. A typical lap pool is 45 feet in length and at least 8 feet wide. Professionals recommend a minimum of 3.5 meters deep pool to ensure the safety of the swimmer. But don't fret if you have small backyard. You can still have small lap pool as long as you can perform a good stroke while doing your routine swimming laps. 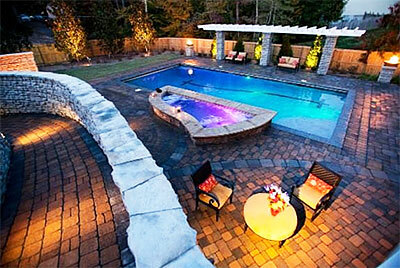 In-ground lighting should be one of the vital features of your pool. It makes the area safer since it improves visibility around the pool area. You'll have peace of mind knowing that the area is well-lighted and safer for children and the elderly. Moreover, your pool lighting will boost the overall aesthetic appeal of your pool. You can achieve all these by getting the services of professional lighting installers. 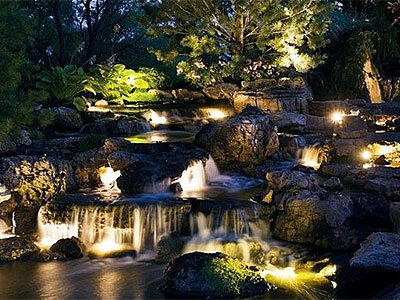 At Nolascapes Pool & Outdoors LLC, we install in-ground lighting and other types of lighting for the outdoors. We always recommend installing this kind of lighting during the construction phase. 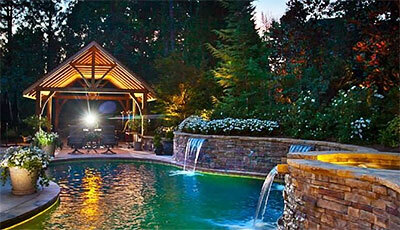 We can also install in-ground lights and other types of underwater lights on existing pools. You must follow a well-thought-out exterior lighting plan to ensure maximum coverage of the pool area. By selecting the right lighting fixtures, you can have a well-lighted pool area without worrying about energy cost. The most popular lighting fixtures for pools are LED lights. They are eco-friendly, energy efficient, and last longer than conventional lighting. The use of lighting techniques is also recommended to highlight specific spots in the pool or to create certain effects for aesthetic purposes. For some people, swimming at nighttime is a great stress reliever and a perfect time for relaxation. But you can't do these things if the pool area is not properly illuminated. Installing night lighting in strategic spots will make the area more secure. Safety is also improved since slip-and-fall accidents will be avoided. You may also use decorative lighting to create drama in the pool area. In-ground pool is a common water amenity in residential properties. It is the choice of many homeowners because it can be customized according to their needs, lifestyle, and design preferences. In-ground pools are typically made from concrete and fiberglass. Concrete is the most popular option because of its design flexibility and durability. A well-built concrete in-ground pool can last for decades with minimal maintenance. You may also use vinyl liners but you still need a concrete reinforcement to support the material. 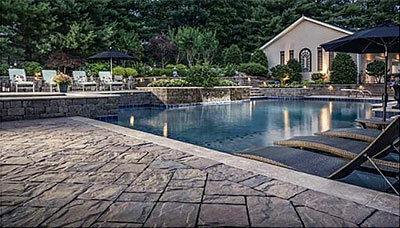 The best thing about in-ground pools is that you can add various amenities to improve its function and appeal. You can add a spa, waterfall, underwater lighting, diving board, outdoor kitchen, and many other functional structures. Do you have a limited outdoor space but still want a water feature where you can relax after a tiring day? An above ground pool is the perfect solution to your concern. It is cheaper to install, which makes it a good alternative for those with limited budget. Above ground pools come in different shapes and sizes so you can choose the design that suits your needs. However, you need an expert installer to ensure the structural integrity of the entire pool structure. Most property owners are now looking for a more interesting pool design. A square or kidney-shaped pool is considered by many as an obsolete design. Go for modern pool design concepts that will boost the overall appeal and value of your property. Why not go for an infinity pool? Installing an infinity pool in your backyard is an excellent choice since it offers a unique but relaxing swimming experience. Just make sure that it is designed and built by seasoned pool installers. Professional contractors like us have creative pool designers who know how to build one-of-a-kind infinity pools. Your pool area should have amenities that foster rest and relaxation. On top of our list is adding outdoor furniture such as chaise lounges, umbrellas, tables and chairs, and other kinds of sling furniture. Choose outdoor furniture that can withstand harsh outdoor environment. Your furniture will last long if it is made from durable aluminum frames, plastic resin, vinyl straps, or sling fabrics. These materials resist rust, extreme weather conditions, and moisture. There are also some wood species that are commonly used for outdoor furniture. Make sure that your outdoor wood furniture is weather-resistant, made from properly treated wood, and sealed for optimum protection from the elements. Teak is an excellent material for your outdoor furniture since it is decay and rot resistant. It is also a pest- and termite-resistant wood species. 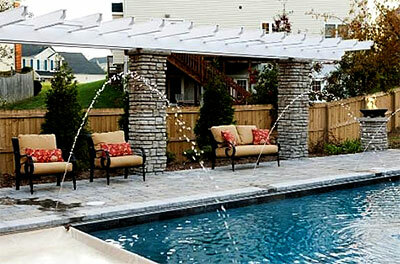 Another vital pool decor that you should have is a shade structure. Pergola is the most popular option but there are other types of shade structures in the market that you can try. If you want a livelier outdoor ambiance, install colorful shade sails or cantilevered umbrellas. Retractable canopies and awnings are also excellent alternatives. The pre-built kits can be installed in a DIY manner or by a qualified installer. But if you want a unique and highly personalized shade structure, go for a custom-built one. Just look for a well-experienced company to ensure the durability and aesthetic appeal of your chosen shade structure. Remember, your pool shade should not only function as a pool decor but also provide protection for you and your family. Do you like a tropical island themed pool or a pool area with ambient lighting at night? You can achieve this by adding a simple pool decor like the Tiki torch. This fuel-lit torch is widely used for outdoor activities and using it around your pool is definitely a great idea. Tiki torches will not only brighten your pool area but also help fend off mosquitoes and other insects. This fire element creates a festive mood so it is a perfect add-on decor when you host a pool party or other nighttime outdoor activities. Tiki torch is actually the most affordable option among the 30 backyard pool ideas that we recommend here at Nolascapes. The coolest pool feature that you should consider is a swim up bar. You don't have to go to luxury hotels and resorts just to experience this great amenity. A pool with a swim up bar will create a resort-like setting in your backyard. Swimming with your loved ones or friends will be more exciting and fun since you can have your favorite cocktails, smoothies, snacks and drinks without getting out of the pool. This feature is also a space saver since you are putting the outdoor kitchen right smack in the pool area. You may have seen a beach entry pool in a high-end resort or water park and wonder if you can also have one in your backyard. The answer is a big yes. Most seasoned pool builders can design and build a beach entry or zero entry pool in smaller areas like your backyard. It is an in-ground pool with a gradual walk-in entry that allows people to gently transition from shallow to deep water. This pool feature is best enjoyed by children since they can splash and play in the shallow area of the pool. You can also sunbathe while partially submerged in the pool water. This design is also recommended for homeowners with older family members. Most beach entry pools are made from concrete but some pool manufacturers are now offering beach entry fiberglass pools. Ask your contractor which of these options will best suit your backyard. Do you still have a budget for additional pool feature? Why not add a pool slide? The cost of a pool slide varies and greatly depends on the kinds of materials used, the design and construction, and the size and length of the feature. A prefabricated fiberglass slide with ladder will cost you around $4,000. Expect to spend more if you prefer a custom-built water slide. The design and installation of water slides should be given only to professional contractors. They understand the structural requirements of larger water slides and the best design that will perfectly match with the pool's architecture. Now that you're done reading our 30 backyard pool ideas, it's time to find a pool contractor who can help you realize these great pool ideas.